Vincent J. Brown Jr., a retired business owner who promoted Irish music and culture in his later years, died Thursday in his Cheektowaga home after a short illness. He was 86. Mr. Brown founded V.J. Brown Co. in 1970, selling high-voltage electrical equipment. He served as president before retiring in 1995. During several trips to Ireland, Mr. Brown became interested in Irish square dancing and traditional music. In the 1990s, he taught classes in Irish square or set dancing. He became chairman of the local branch of Comhaltas Ceoltori Eireann, an organization that promotes Irish music and culture. He was treasurer of the Northeast Region of Comhaltas and won the 2012 Service Award from the group’s North American Province. The Buffalo native grew up in Syracuse and moved to the Buffalo area in 1946 after graduating from Most Holy Rosary High School in Syracuse. 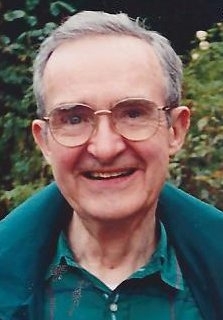 He earned a bachelor’s degree from the University of Notre Dame in 1951. He served in the Army as a sergeant first class during the Korean War. His wife, Sarah, died in 2006. Survivors include a daughter, Anne Elizabeth; six sons, Vincent J. III, Bernard, Brendan, Patrick, David and Ian; a sister, Suzanne Downing; 20 grandchildren; and two great-grandchildren. A Mass of Christian Burial will be held at 9:30 a.m. Tuesday in St. Aloysius Gonzaga Catholic Church, 157 Cleveland Drive, Cheektowaga.